Two stitches at once?! A Christmas in June miracle! 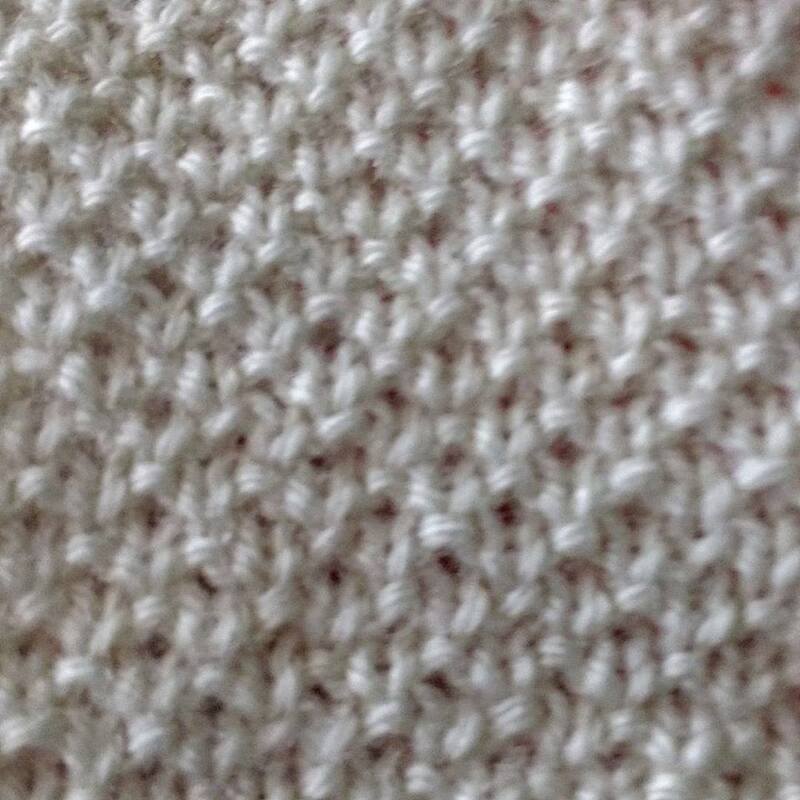 Well kinda not really, it's just a stitch with a reverse that happens to be another stitch. It is an unusual elongated broken rib pattern, it can be viewed either way, it is more often viewed on the sand side which is the purl side. 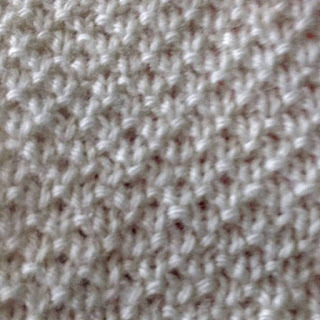 A hard wearing stitch it's well suited to frequently used sportswear or items for pets. 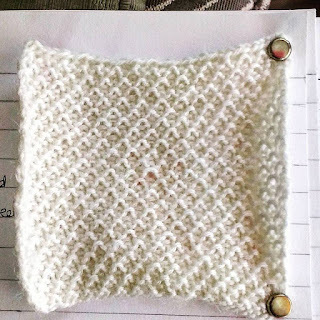 The reverse side is called dot stitch or spot stitch because of the isolated purl bumps. 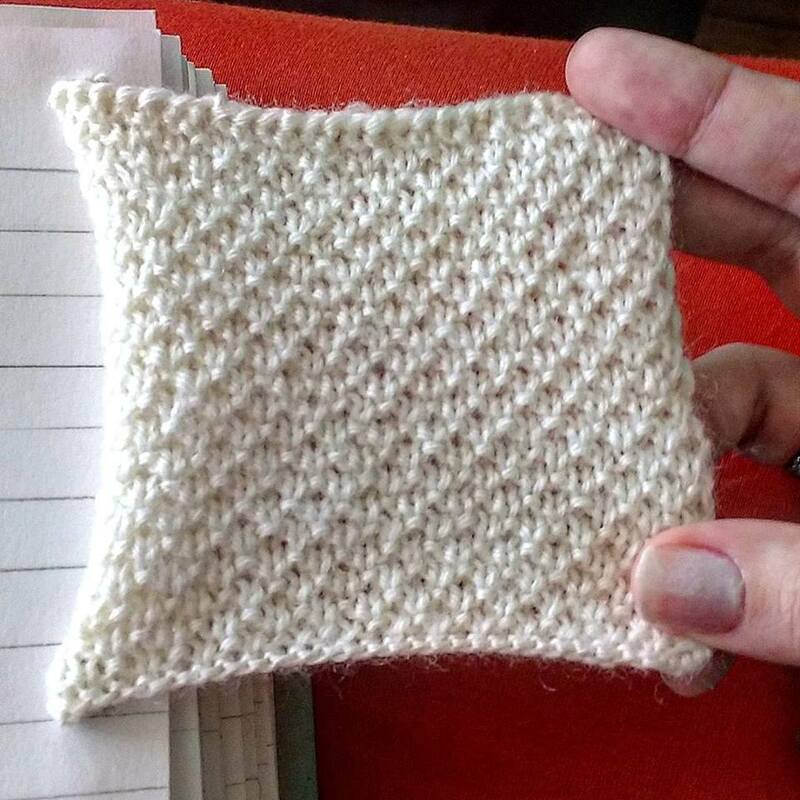 It's a relatively quick knit compared to other broken ribs thanks to the knit row breaks. Dot stitch bears a strong similarity to stockinette, but doesn't have as much stretch and is also tougher so it's useful for pieces where you want the look of stockinette but need a more hard wearing stitch. 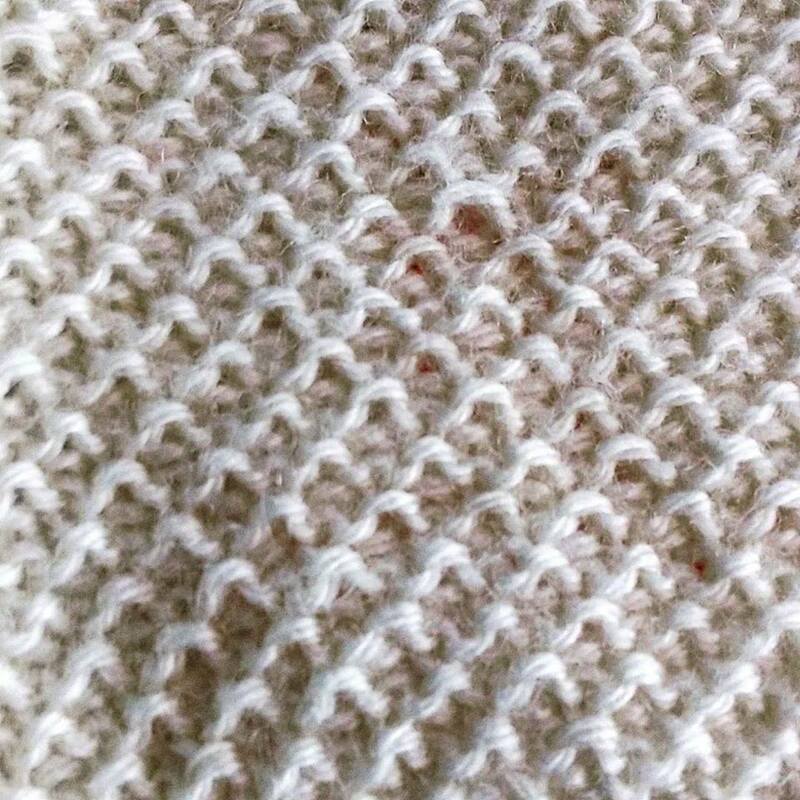 You can easily see the majority of the pattern in dot stitch is in the knit stitches. 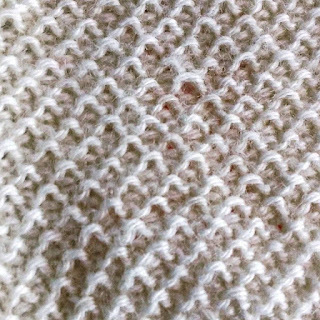 This is an overall look at sand stitch it's easy to see it tends to curl horizontally, so it's not one of the broken rib patterns that are suitable for borders. 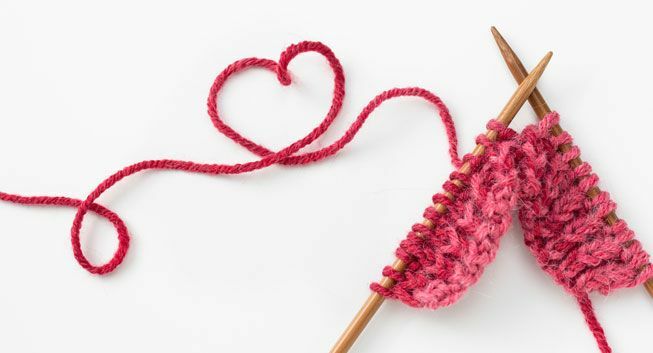 The appearance of sand stitch is interesting it looks like lots of interconnected hills; it's hard wearing and doesn't take long to knit so is a good overall pattern choice.